It’s Time to Celebrate the Gift of Adoption! November is a month set aside to recognize the love and support of adoptive parents and families who provide thousands of children with loving homes each year and to help all Americans realize that adoption is a powerful way to show women they are not alone in an unexpected pregnancy. “We celebrate the life-changing act of adoption, bring attention to the millions of Americans who are eager to adopt, and express our gratitude to the families who have welcomed children into their lives and homes,” the president said in this year’s official proclamation. 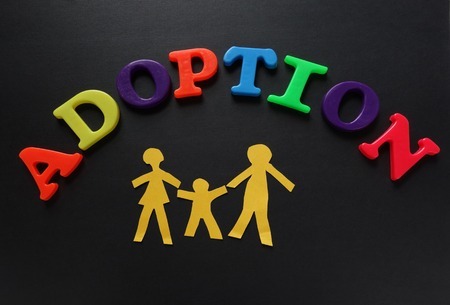 According to Heartbeat International, the first major effort to promote awareness of the need for adoptive families began in 1976 with Massachusetts governor Michael Dukakis who initiated the first “Adoption Week.” The idea quickly grew in popularity and spread throughout the country. President Gerald Ford issue the first National Adoption Week which was expanded to the month due to the number of states participating and the number of events promoting adoption. “During the month, states, communities, public and private organizations, businesses, families, and individuals celebrate adoption as a positive way to build families. Activities and observances across the nation, such as recognition dinners, public awareness and recruitment campaigns, and special events shed light on children who are in need of permanent families,” Heartbeat International reports. A particular focus of the month is on children who are currently in foster care and who are seeking permanent homes. Adoption affirms the inherent value of human life and signals that every child born or unborn is wanted and loved, he concludes. Adopthelp.com lists nine ways to celebrate this special month, ranging from retelling your family’s adoption story to thanking an adoptive family and spreading awareness through social media. And, most importantly, let’s set aside this month as a time to intensify our prayers for those families who have adopted children, are considering adoption, or who are confronting an unexpected pregnancy. May God give us the grace to make this nation once again become a land where everyone is deserving of life and love! This entry was posted on Monday, November 5th, 2018 at 5:13 pm	and is filed under News & Commentary. You can follow any responses to this entry through the RSS 2.0 feed. You can skip to the end and leave a response. Pinging is currently not allowed.